Moli'i Fishpond is one of the largest fishponds in all of Hawaii, encompassing 125 acres and ranging in depth from 4 to 30 feet (1-9m). 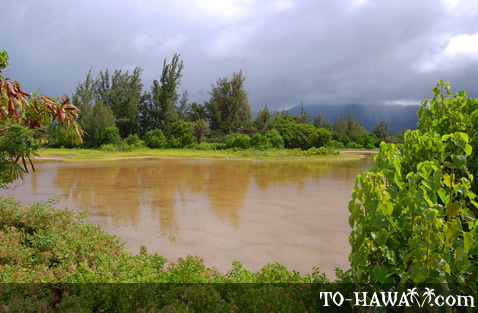 Located on Oahu's windward (east) coast, the fishpond is between 600 to 960 years old. In 1850, Dr. Gerritt P. Judd bought the land division of Kualoa, which includes the fishpond, from King Kamehameha III. 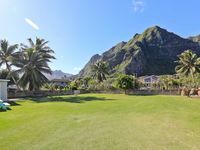 Today, the Morgan family, who are Judd's descendents, still own the property and manage it as Kualoa Ranch. Moli'i Fishpond is one of the few early royal fishponds in Hawaii that remain operational up until today. Moi (threadfish), 'ama'ama (mullet) and awa (milkfish) are raised in it. To see the fishpond from up-close, you can take a guided tour. 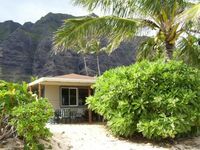 The Ranch offers a garden and fishpond tour, as well as an ocean voyaging tour, where they ferry visitors across the fishpond to Secret Island (the seaward side of Moli'i Fishpond). The cost of both tours is $21 ($18 for kama'aina – Hawaiia residents). Neighboring ‘Apua Fishpond (view panorama) (located to the east of Moli'i) is much smaller. 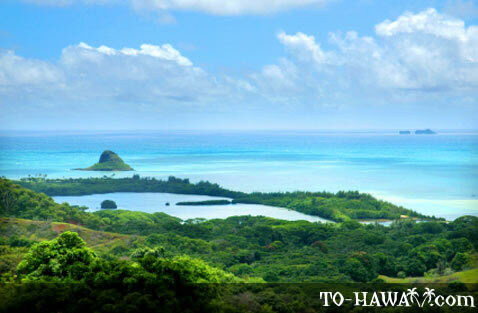 It can easily be reached from Kualoa Regional Park by following the beach park road all the way to the end. The fishpond is located behind a low stone wall and surrounded by bushes and trees. ‘Apua Fishpond fell into disuse in the early 20th century. Newly Remodled Home in Quiet Beach Community With Ocean Views AHHHH! 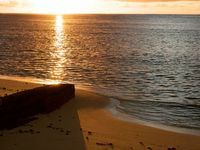 Directions: The fishponds are located on Oahu's east coast in Ka'a'awa. 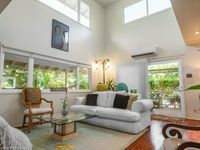 It's about a 45-minute drive from Waikiki and Honolulu. From Waikiki, take the H1 freeway west until you reach the Likelike Highway (63) Exit H1 onto the Likelike Highway (toward the mountains) and stay on it until you pass through the tunnel and emerge on the windward side of the island. Exit Likelike and drive onto Kahekili Highway (83) north. The fishponds are on the right side of the road, at the southern end of Kualoa Regional Park. 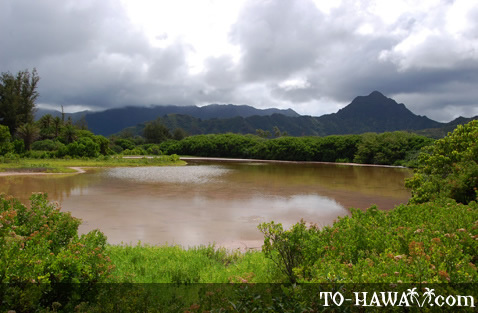 Kualoa Ranch offers tours of Moli'i Fishpond. They are located a short drive further north (on the left side of the road). Follow the signs.